The study of child development enters a brilliant new era with Worth’s Developing Lives—a sophisticated, interactive experience in which each student “raises” a virtual child from sperm-and-egg to teenager. 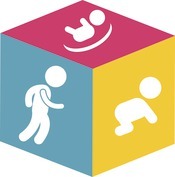 With Developing Lives, each student provides a personal profile, selects a virtual partner (or chooses to be a single parent) and marks the arrival of their newborn (represented by a unique avatar based on the parents’ characteristics). As the child grows, the student responds to events both planned and unforeseen, making important decisions (nutrition choices, doctor visits, sleeping location) and facing uncertain moments (illness, divorce, a new baby), with each choice affecting how the child grows. Throughout, Developing Lives deepens each student’s attachment and understanding of key concepts in the field with immediate, customized feedback based on child development research. Developing Lives includes a variety of pedagogical resources, including more than 200 videos and animations (many new to this project) plus quizzes and essay questions that are easy to assign and assess. It will be available as a fully integrated component within LaunchPad for your textbook. It’s also available as a standalone resource (LaunchPad Solo for Developing Lives).